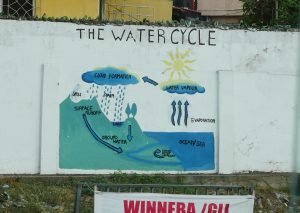 Water cycle at a wall in Accra. 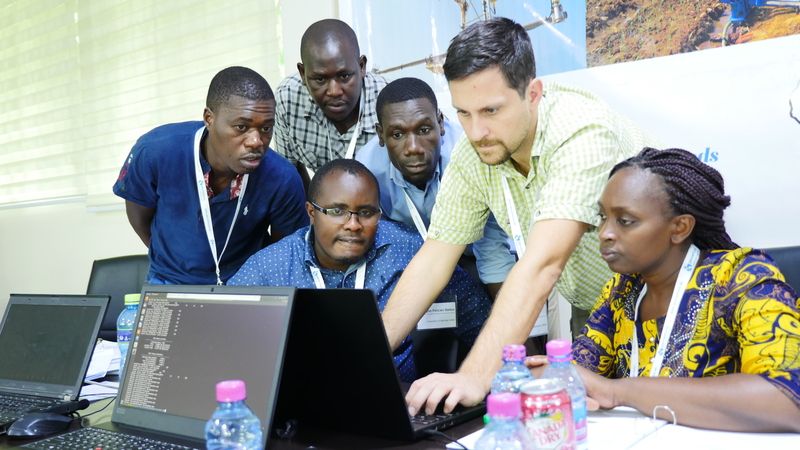 In the PASCAL HPC Training (HPC = High Performance Computing) Jülich scientists train the African participants how to use TSMP to provide predictions from coupled simulations of the soil, water, and air system. 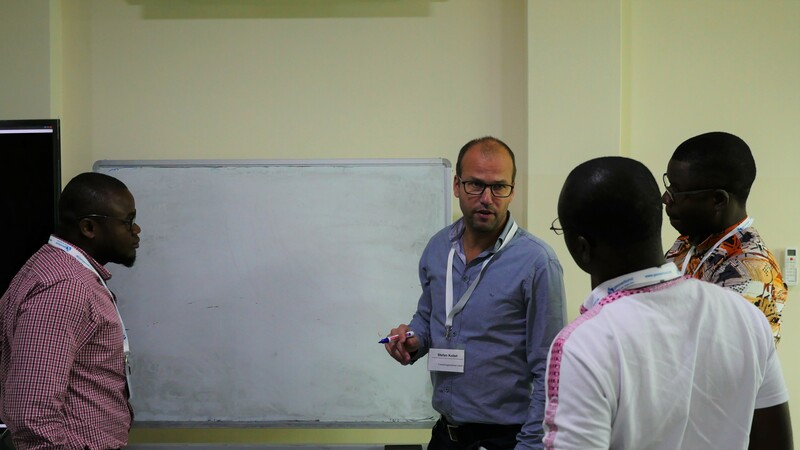 The course aims to provide the participants with generic capabilities of terrestrial modelling and data assimilation which they can apply in their home countries. 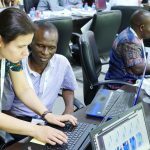 “Attending PASCAL is very crucial for my work”, says Chioma Ogbenna, PhD student in soil science at the University of Pretoria in South Africa and one of the PASCAL participants. She hopes the gained skills and knowledge will help her to update the South African guideline for sustainable biosolid use in agricultural production (read the entire interview). 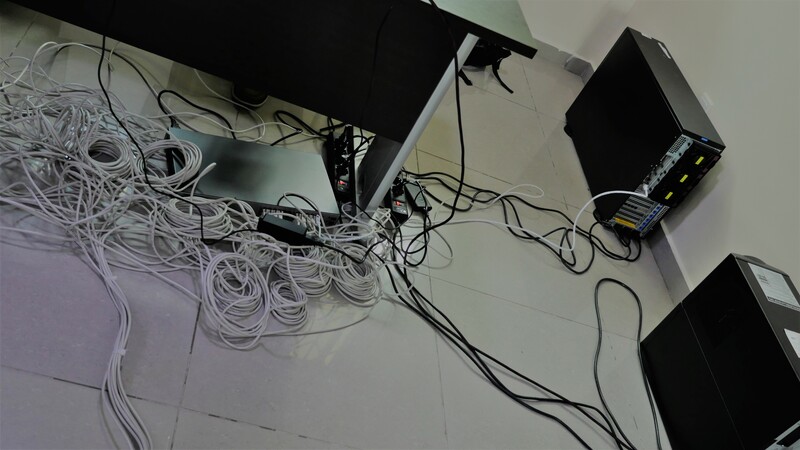 Doing the simulations in Accra poses a big challenge to the hardware: When TSMP is applied to a specific area this does not only yield an enormous amount of data. Very diverse processes must also be covered both spatially and temporally, which can be computational expensive. Back in Germany the calculations therefore are performed on the supercomputers of Jülich Supercomputing Centre (JSC) that can be used remotely via the internet. However, since there is no fast internet connection in the training rooms, remote simulations on Jülich computers are not possible. 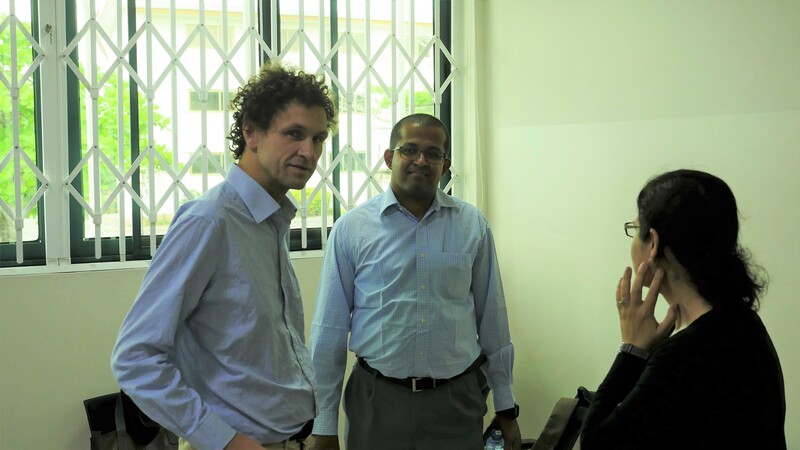 In order to ensure a flawless realization of the training, therefore a local simulation system (LSS) has been set up. 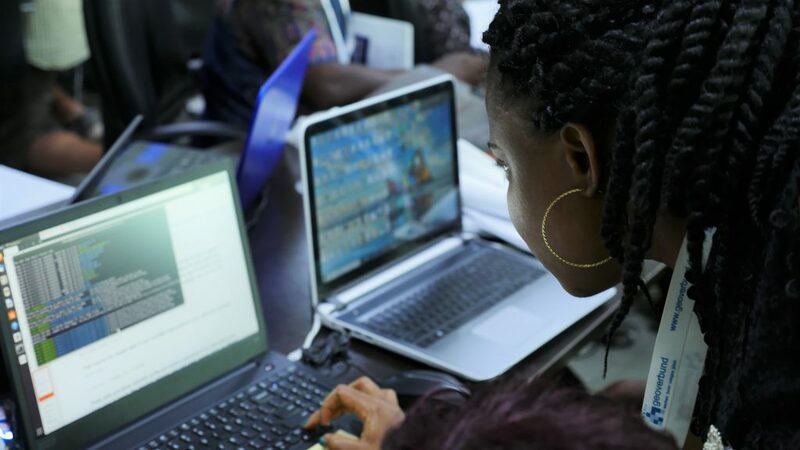 The LSS, which is centered on a single powerful scientific workstation, essentially mimics an HPC system and can be accessed from several dedicated notebooks for the training’s participants connected in a local network. However, HPC resources are not always needed and available. The students learned that TSMP can also be applied easily on a personal computer or laptop. 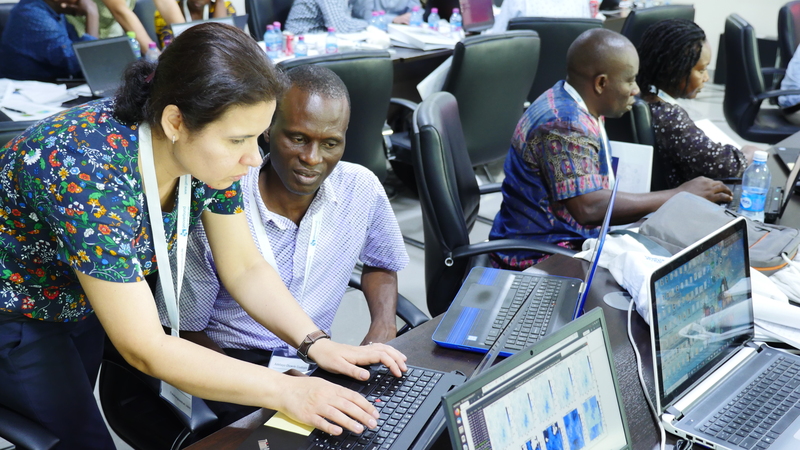 In order to apply TSMP, the participants need to adapt the program code and give the algorithm some fundamental information such as physical properties which describe for example the nature of the soil, what rock there is, or how porous and water-permeable the soil is. Based on this information, and some additional computer hardware specific values which are already in the system, TSMP simulates how, for example, air pressure and temperature as well as the exchange of water and other substances between land surface, soil, and groundwater develop. 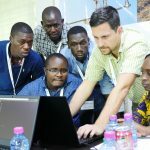 And after three hard days of working everyone got the simulation running: “The participants did a great job, I have rarely seen such a group of motivated students. Everybody learned a lot and had great fun including us”, saiys Prof. Stefan Kollet, Director of HPSC TerrSys, Professor of Hydrology at the Meteorological Institute of Bonn University, and former Research Topic Leader “Integrated Modeling of Terrestrial Systems” at Forschungszentrum Jülich. 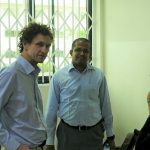 Learning how coupled modelling ca be made easier using high performance computing was my greatest fun. It was nice meeting everyone.